Hotels and other companies that exist within the hospitality industry are increasingly getting to grips with the concept of big data, and the numerous ways it can help them to generate more revenue and deliver a better experience for customers. In this article, you will find out more about what big data is, why it has become so important, and the various ways it can be leveraged for the benefit of hotels, resorts and other hospitality companies. Big data is the phrase used to describe the extremely large sets of data that come into a business on a day-to-day basis. The data can be extremely varied and may come from a wide range of different sources. Within the hospitality industry, these data sets are most commonly associated with customer behaviour and interactions. For data to be classed as ‘big data’, it needs to be too large in volume to be processed via traditional data processing methods. Crucially, it can be used within the fields of both predictive and behavioural analytics, and can help companies to identify key trends or patterns, which can then inform their business practices. Through a combination of the data they gather themselves, and information available online, hotels can use big data to assist them with a revenue management strategy. In particular, it allows them to carry out predictive analysis, allowing hotel owners to more accurately anticipate levels of demand for hotel rooms. Examples of the kind of data that may be useful here include past occupancy rates, current bookings on the system and various key performance metrics, as well as external data, such as information about when school holidays are, or when local events are happening. Once big data has been successfully used to predict demand, those within the hospitality industry can take steps to optimise room rates, in order to maximise revenue and profit. Hotel guests are extremely varied, ranging from business travellers to families, and from those operating on a budget, to those looking for something special for a honeymoon. In addition to helping with financial management of a hotel, big data can also help those in the hotel industry to more effectively target their marketing content. Indeed, big data provides marketers with the ability to identify the best opportunities for their particular business, and target key demographics much more specifically, especially through online advertising. 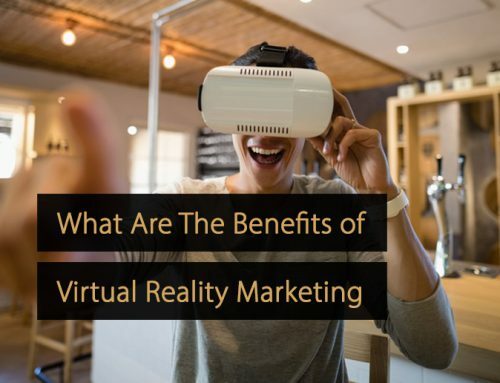 This can also include both location and time-specific marketing, which can allow hotels to reach customers at the time advertising will be most relevant to them, or in the place where they are most likely to want to see it. Another way that big data can be of great use within the hospitality industry is in relation to the customer experience that hotel companies provide. Big data can help hotel owners and customer service teams to spot significant trends in terms of customer opinions, learning about their strengths and weaknesses in the process. This may require the gathering of service usage data, feedback from customers on social media, reviews posted on websites, and other related information. Fortunately, the hotel industry is an area where customers are happy to let their opinion be heard, although gathering data from various sources and analysing it can be challenging. Once done, however, it can allow hotels to understand what customers like and where improvement is needed. Hotels have a variety of interactions with both current and potential customers, providing an opportunity to gather large amounts of data. When collected and analysed carefully, the data can be extremely revealing, providing information about not only the services that customers use, but also the services that they request or ask about. This can help hotel owners to make decisions about new services to introduce, as well as services that are no longer required. For example, a hotel might opt to refurbish their gym if customers are regularly asking about machines they do not have. Furthermore, big data can be used to inform decisions related to partnerships with other businesses, with possible examples including OTAs, local taxi firms, and nearby bars or restaurants. Finally, big data can also be used to get a clearer idea of competitors and to see what other companies operating in the hospitality sector are offering their customers. In the internet age, there are a vast array of places to go to learn customer opinions, including review sites, social media, internet forums and travel publications. All of this data can potentially be gathered and processed to find the trends that matter. As an example, it might be that a competitor is being regularly praised for their restaurant menu, or alternatively, they may be regularly criticised for their customer service. Knowing this information can help a hotel to capitalise on its rivals’ shortcomings, but also to learn about where its rivals are actually outperforming them. Big data is a key concept to be aware of within the hospitality industry, and can help hotel owners and other business leaders to identify important patterns and trends. As a result, it can help to improve revenue management, optimise marketing efforts and enhance the customer experience that is being delivered.